Posted in Culture Criticism, Interactive / Participatory Art, Multi Media, Observations, Photography, Visual Arts and tagged as asterisk san francisco gallery, bay area, drawing, photography, rio yanez, San Francisco, sequential art. 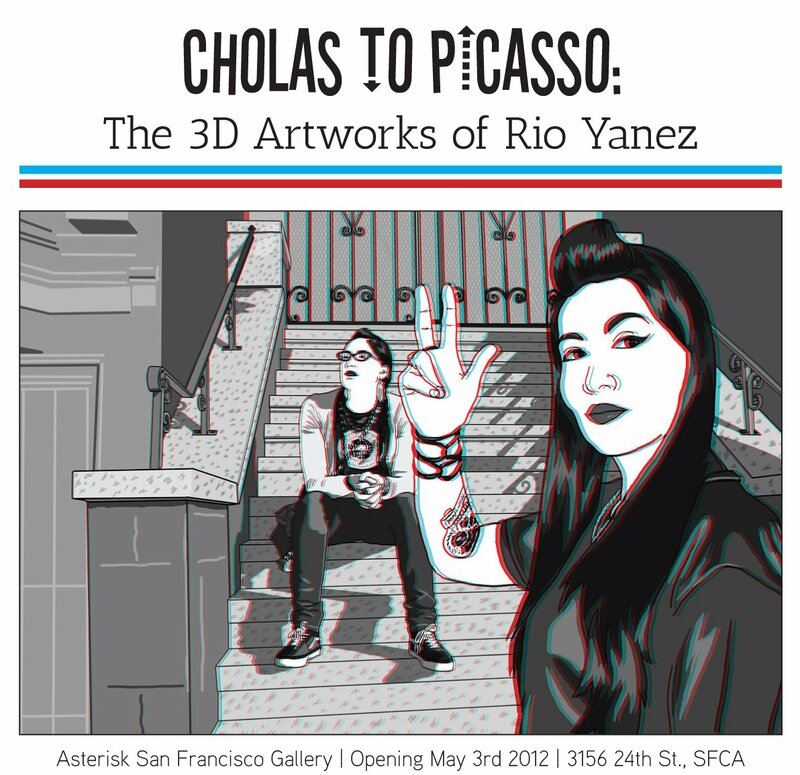 Cholas to Picasso: The 3D Artworks of Rio Yañez was truly an attention-getting topic. To do artworks on a two-dimensional frame, but giving it 3D properties, I think, requires a lot of talent. His re-imaginings of Frida Kahlo, I imagine, would be an interesting collision in which her tempestuous life magnifies as a result of that 3D art; and no doubt will evoke several emotions by the onlooker. It would be interesting to follow his art as it evolves through the years. More power to your friend, Rio Yañez! Chola is actually a more colloquial or slang term. Here’s the wiki: http://en.wikipedia.org/wiki/Cholo ~ The show will be great. I’m really excited to curate a show for a local artist AND in the neighborhood where he was raised. It’s always exciting to help expose native San Franciscan artists to different audience!